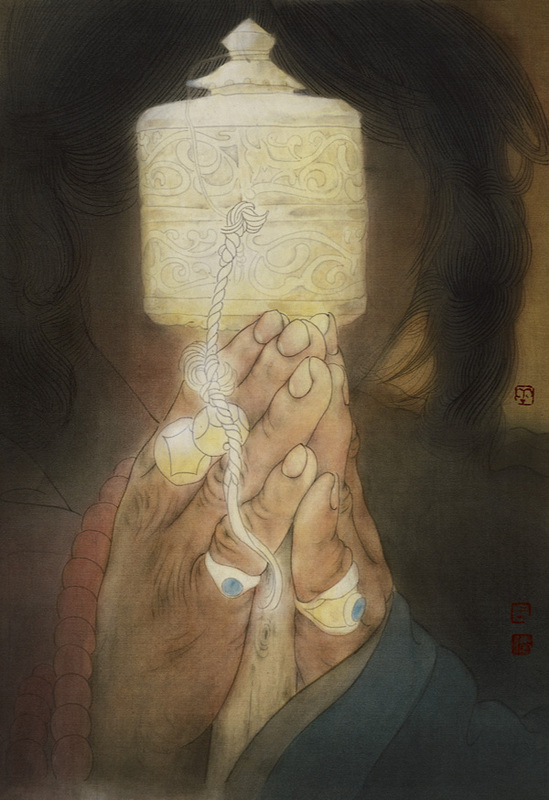 Sacred Mountain, color on silk, 150cm×195cm, 2015. On January 19, 2019, “A Blend of Clarity and Strength – Wang Haibin Chinese Painting Exhibition” will open in Renqiu City, Hebei Province. 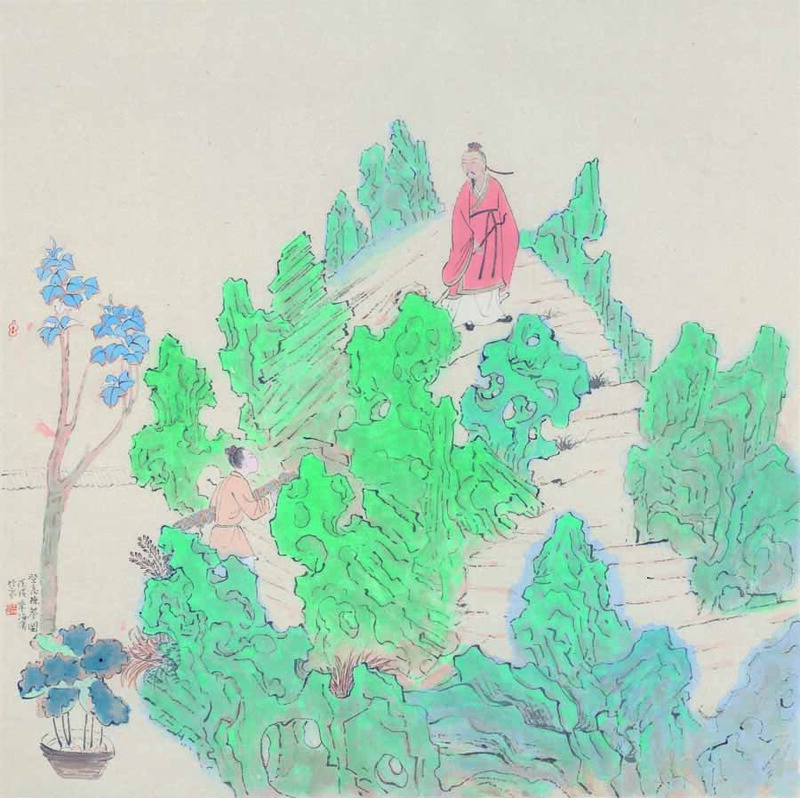 The exhibition will display more than 100 works by young Chinese painter Wang Haibin, including fine brushwork, ink paintings and manuscripts. 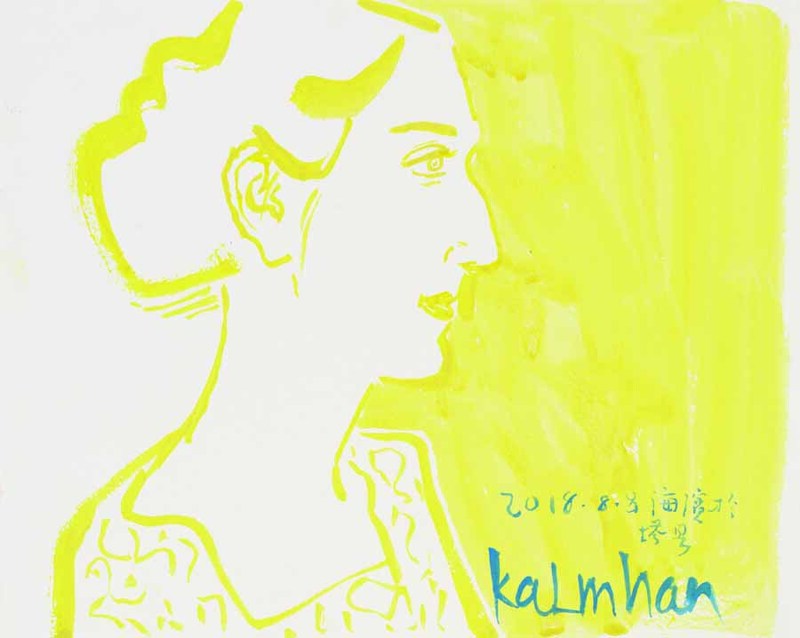 The exhibition will go through January 23, lasting for five days in total. Works on display are classified into three parts: “Dignity and Profundity,” “Refreshing Moments,” and “Ethereal and Classical.” In the first section, the painter leverages his long-term artistic practice to probe two different painting methods to express profound, sincere and elegant beauty of fine brushwork. The second part features works created using simple tools and materials to vividly capture the intuitive feelings of objects as subjects for art pieces. The third part consists of works with ethereal artistic concepts that use traditional allusions, literati elegance and personal perception as subjects. Most of these works are relaxing commemorations of classics, which act to nourish the artist’s personal interest. Sketch in E’zhuang Village, ink on paper, 2018. Sketch in Taxkorgan Tajik Autonomous County, ink on paper, 2018. Zhang Peng, a Ph.D. in Art History and associate professor of Fine Arts College at Capital Normal University, pointed out that Wang Haibin is already a noteworthy figure among contemporary young Chinese painters. 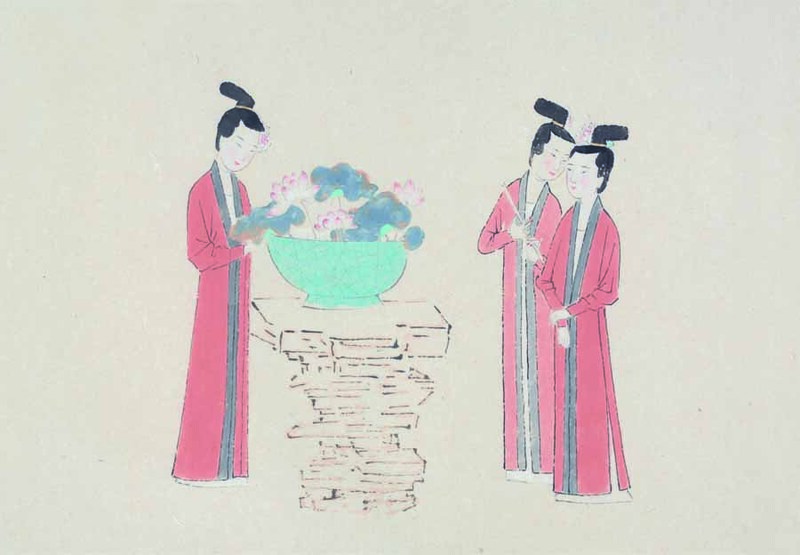 He illustrated that in modern times, the positioning and development trends of Chinese painting are increasingly drawing attention. 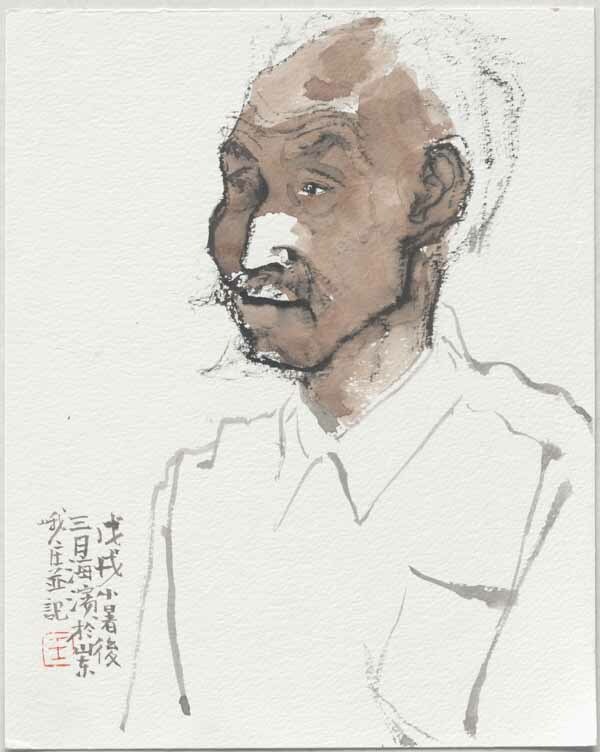 Wang Haibin received complete and systematic art education at university with focus on the similarities and differences between Chinese and Western art and exploring the possibility of integration and reference between them. 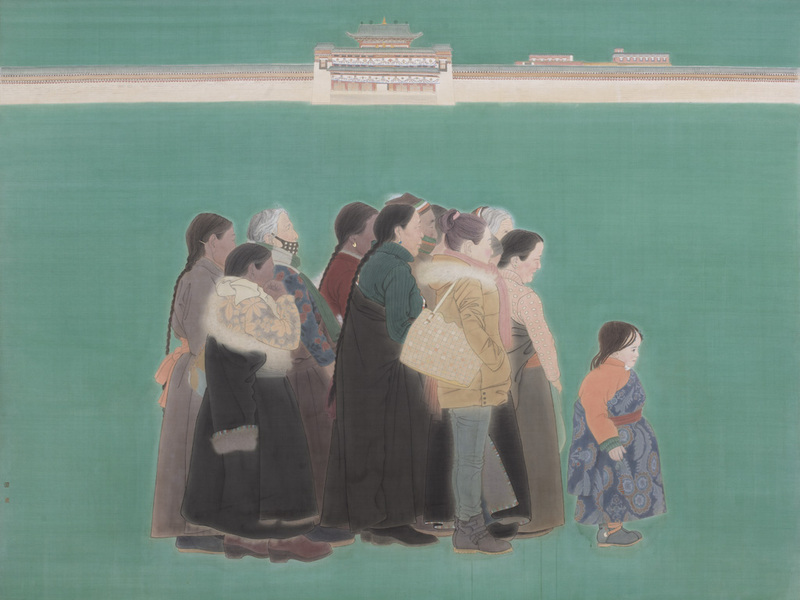 His works often reflect a deep understanding of traditional Chinese painting yet draw lessons from Western painting in aspects of color, shape and shading. The three sections of the exhibition are interrelated and independent. Wang Haibin’s varied attempts at creation testify to his constant exploration of the merging of Chinese and Western art. Playing Zither in the Mountains, watercolor on paper, 2018. Lotus Viewing in the Courtyard (part).